How to transfer to your own CRM informations about the conversation? How to automatically insert into the chat the login and email of users? How to open the selected chat department? 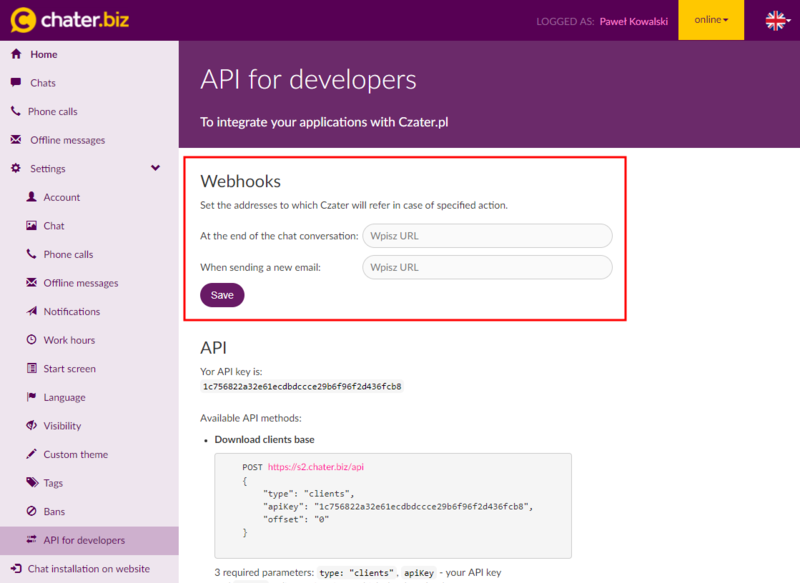 Webhooks is a method that can be used to send requests to the url address set by you. Using it allows you to transfer to our company's IT system / CRM information about your chats and offline messages sent by clients.